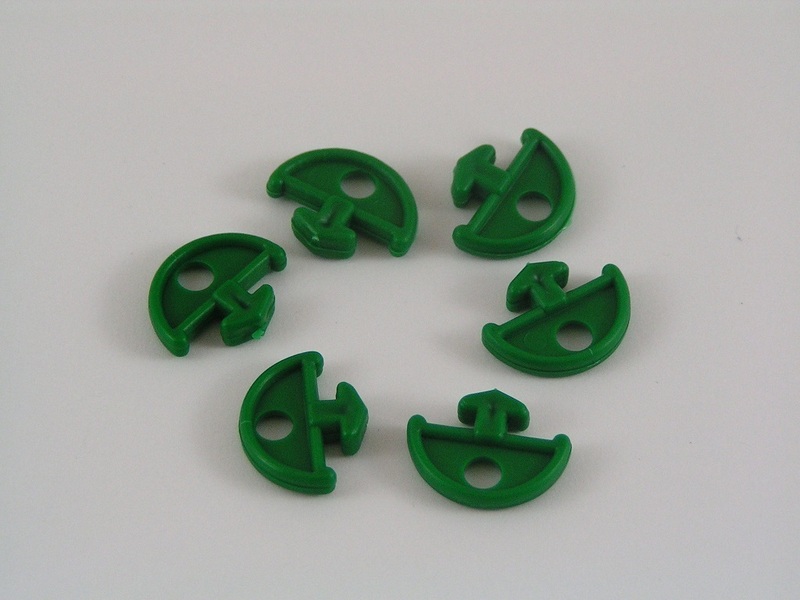 Green plastic alliplugs for use in greenhouses. 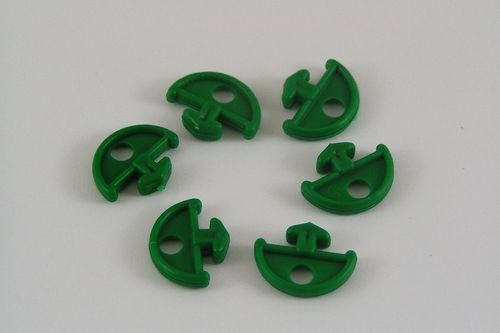 These are standard alliplug clips and work on their own to allow you to string training wires round your greenhouse to support growing plant stems. Greenhouse clips like these alliplugs are also ideal for holding shading or insulation, such as thin bubble wrap in place near the glass. This helps to improve temperatures within the greenhouse in cooler months. Note: These alliplug clips will NOT work with the extender clips or corner clips. The neck of these standard alliplugs is too short. To use the extender or corner clips you need what are termed super alliplugs which have a longer neck.